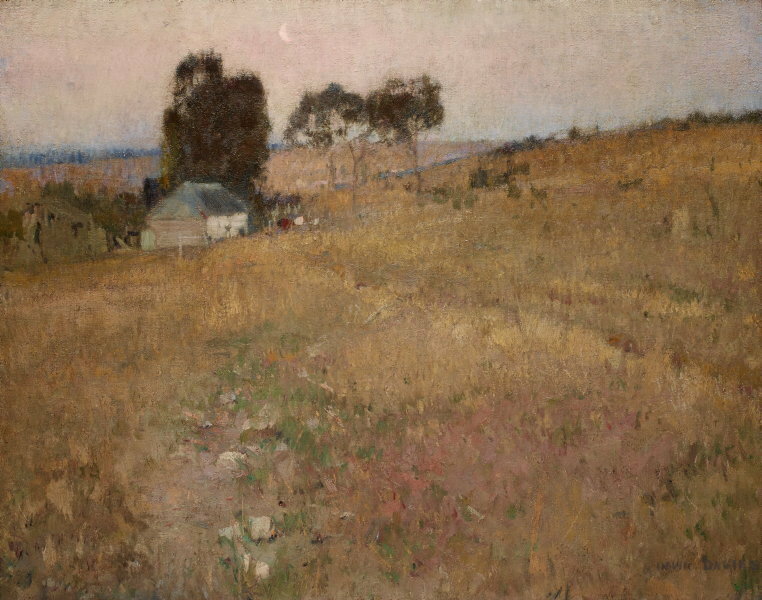 Davies painted 'A summer evening' during an industrious five-year sojourn in Australia, which followed a brief period of travel and study in Europe. 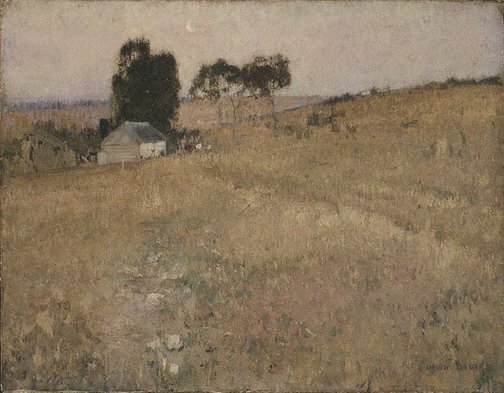 The work is characteristic of Melbourne painting of the 1890s, in the shift of its mood from the bright, sunlit imagery of the Heidelberg painters, to the pensive, restrained and fugitive effects of early evening light upon the landscape. In this painting David Davies moves away from Australian nationalism to a softer, European sensibility, possibly influenced by Whistler and other artists when he studied in Paris and England during 1890–93. Signed l.r. corner, brown oil "DAVID DAVIES". Not dated.